So now I got the Lesley Gore - "It's My Party" song in my head. Yesterday was my Birthday so I decided I wanted to celebrate and eat what I wanted. I thought about it for a little bit but then came to my senses. I didn't want the hard work I put in to be all for nothing even if it was my birthday. 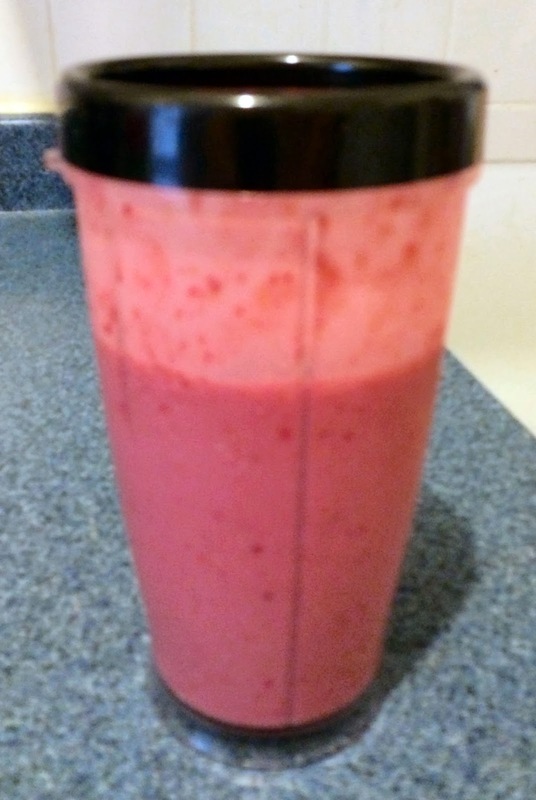 For Breakfast I had a delicious Dr. Oz Breakfast Smoothie. 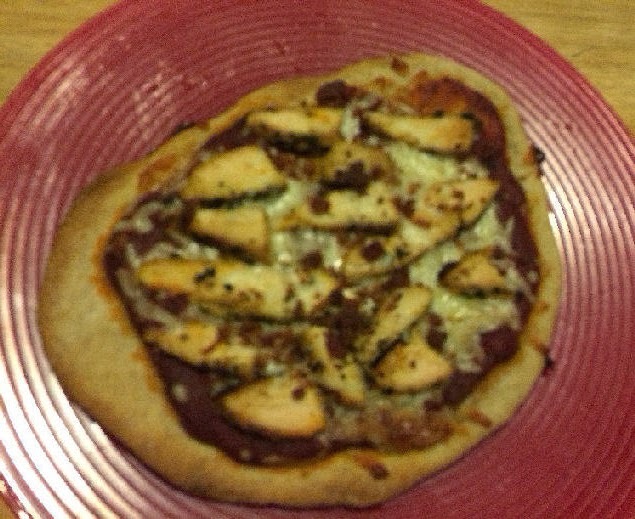 For Lunch I had some leftover Homemade Healthy Chicken Bacon Pizza (recipe to follow in a future post). For Dinner I had some delicious Sushi from my favorite Japanese Restaurant. For Dessert I was gonna splurge on some chocolate or cake but then had a craving for some yummy frozen yogurt at my favorite yogurt shop. Although everything wasn't super nutritious I am proud that I made some healthy choices and didn't overindulge just because it was my Birthday! I know what you mean! Holidays especially are hard for me when I am dieting! I'm so jealous of everything you ate! Pizza and sushi are my two favorite foods (I can't decide between them), and I want some now! Happy Birthday! Wow you've made me decide to try the Dr. Oz diet too! I am entering the Ms. Wheelchair Illinois Pageant in March and have some extra weight I need to lose in the meantime. Great job on your healthy birthday choices and hope your special day was great in other ways too! Happy bday!! You made amazing choices for your bday! It could have been worse! Chips, Chocolate and fat! lol!! That smoothie looks so good! i'm going to have to look up the recipe! Happy Birthday! I am the total opposite. I would be saying to myself: It's your birthday - go ahead! It's not going to kill you :) But kudos to you. Looks like you had a "delicious" day. Since you did a great job in keeping the calories down during the day I think you deserved that special treat! Happy Birthday! Sounds like you had a great day! 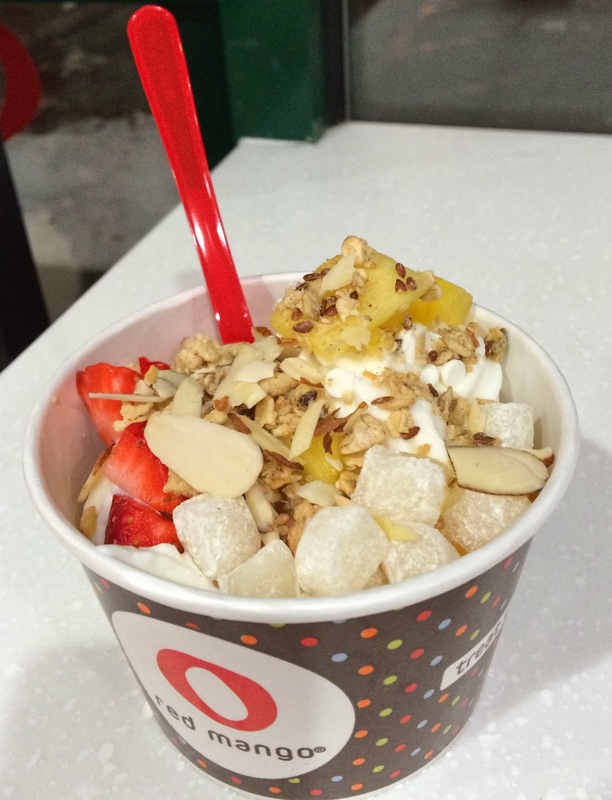 And I agree Red Mango is an amazing frozen yogurt place! I fell in love with an apple pie flavored yogurt there right before we moved to a small town. I wonder if they still have it. I so wish you could send me that sushi. I love it and have no were around I can get any. Happy Birthday! Happy Birthday! Good for you! It is a powerful feeling to allow yourself to eat other foods for a day and know when to stop. Yay! Happy Birthday! Looks like you treated yourself and kept the calories down, way to go! You are such an inspiration! Happy Birthday! Even if you didn't get to eat exactly what you wanted.. sounds like you had a pretty "nommy" day anyways! Keep up the great work. You putting your wants aside is very inspiring! This is responsible cheating... Yogurt for dessert on your birthday? Still healthy. Yummy! Happy Birthday!! And what a great job of indulging and still keeping calorie counts down! Happy Birthday! Way to go for indulging but still making great choices. Happy Birthday - i think you have a valid reason to cheat here - though you are in charge of what you define as cheating! Nice job. Looks indulgent yet still healthy choices. Happy Belated Birthday! Happy Birthday! Everything ends up with our own choice and you choose to ate what you want in a healthy way :) Keep it up! Happy belated birthday! What sites the smoothie taste like? How often do you drink it? Happy Birthday! Great job making good choices :). I've learned that once you start making excuses for one day, excuses become easier to find! If I had opted for frozen yogurt instead of birthday cake, I'd have a rebellion on my hands. My daughter insists that ALL birthdays, even the dog's, must be celebrated with cakes! Happy birthday! Those meals look delish! Happy birthday! I can't wait for the homemade chicken, bacon pizza recipe, it looks so yummy. I have a bad habit of over indulging around holidays and my birthday! So you have a lot more will power then me :)!! Looks like a great way to spend a birthday!! :) Hope your day was great! You are much better at keeping it together than I am! I'm impressed and happy birthday! It's my birthday and I'll cheat if I want to, cheat if I want to, cheat if I want to... sorry. I read it and I had to sing it, LOL. I think when people do not give themselves that kind of day, even just a little, they go off the deep end and go nuts with food. Happy Birthday belated! It is actually good to cheat once in a while, so that your body gets tricked into thinking that your going to eat that way again..
That Chicken Bacon Pizza looks AWESOME! Happy Birthday! Happy birthday! It seems like you're doing a really great job. Keep up the great work! Any diet that includes sushi sounds good to me! You only live once, you gotta love life a little! Happy birthday! Awww Happy Birthday! I think you made all good choices on your birthday! You are one lucky Momma! Of course you can its your birthday! The pizza looks delicious!! I think you made good choices!! This still looks like a yummy birthday! That pizza looks great and I love sushi so much! Happy Birthday! The pizza looks are great! Happy birthday! It looks delicious! Happy Birthday!! Just started following you as another mommy who is on a quest to lose a few. INSPIRE me! I would love to see the recipe too! Happy Birthday! Looks well worth the cheat! Happy Birthday! It can definitely be challenging not to splurge on special occasions! It looks like you did great! Happy Birthday --- I cheat too! Wish you a very Happy Birthday!!!! Wow Food Looks YUMMY.. I think this kinda cheating is good once a year LOL :) I did that too last year my birthday too. Happy Birthday! I hope you enjoy minutue of it. Good for you for not overdoing it. I don't know if I have as much self control as you. When it comes to food that is. All of that food looks scrumptious! and not too bad really for cheating in my opinion lol! Healthy food really has come a long way & we can still feel like we indulged a bit. Happy birthday! Happy Belated Birthday! It's amazing that as healthy eating becomes a part of our lifestyle - the desire to pig out on "junk" leaves us and even when we're splurging we're still being relatively healthy. Way to go! It;s so easy to make excuses and say, just this one time....then that one time turns into an all out binge. You go girl. You did just fine - stayed within boundaries, and had something you love. We cannot live our lives without some goodness in it and you did that within limits! Happy Birthday to you! Yum! I want some of the yogurt and sushi. :) Glad you were able to control yourself. I like rum raisin flavored yoghurts.